This three- or six-hour workshop is for individuals, groups or businesses interested in building strong management teams that work together cooperatively, make better decisions faster and communicate more honestly and directly. This program explores the importance of self-discovery, understanding and reflection as necessities for the cultivation of effective leaders within our professional and personal communities. By exploring our past experiences in leadership, our own leadership styles (strenghts and weaknesses), and character traits that elicit creativity, motivation and purpose, we can begin to forge new pathways for ourselves and others to follow on the way to positive and impactful leadership. In understanding our existing ideas of what a leader is or should be, we can reflect on the steps that we have already taken in leadership, as well as prepare for the new paths that will direct us towards the leaders that we can and will be. Discover tools to build stronger relationships among staff. reflect personally to better understand the type of leader they believe they are and/or want to be. learn how their past leadership experiences have shaped their ability to work with or lead others. examine their strengths and weaknesses and explore how these traits/tools can direct their leadership path, personal work, work within a team, productivity and creativity. cultivate their personal leadership style and forge new “pathways” to becoming an impactful leader. 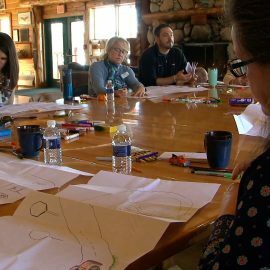 These worshops are offered September through May at Camp Daggett on beautiful Walloon Lake. The workshop can also be customized for your group needs and can be delivered at a location of your choosing. Cost is $75.00 per person for the three-hour seminar with a minimum of 5 participants per business group, longer sessions can be arranged. Karen has worked in the experiential field for more than 25 years and has facilitated 5,000 different groups, from youth to school administrators to nonprofit and corporate groups. She holds a Master’s Degree in Counseling from Central Michigan University and is a Licensed Professional Counselor (LPC) through the State of Michigan. 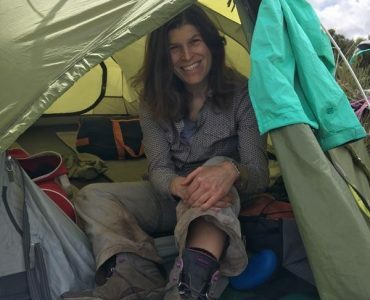 Karen has lead experiential groups in 21 states and 2 other countries. In 2000, she received an award for outstanding service and leadership for her innovative work with foster parents and children. 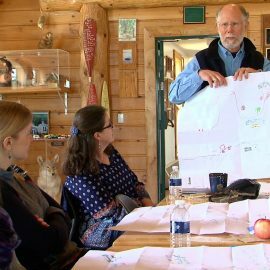 During his time at UM, Drew studied under a highly recognized leader of the therapeutic experiential education realm, Gary Stauffer, an accomplished practitioner, author and facilitator and recognized at state, national and international levels. 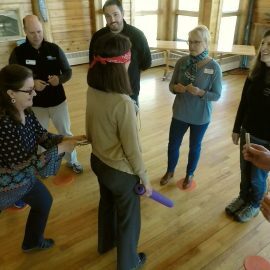 Drew’s expertise is in the development of a variety of successful new program models and methods, such as current community/culture building models utilized by local school districts in northern Michigan (Petoskey, Pellston, Ellsworth, Boyne Concord Academy). Our 13,000 square foot lakefront cedar lodge contains a commercial kitchen and a rustic dining hall with a massive field stone fireplace and whole Northwest Pacific fir trusses supporting a 30-foot cathedral ceiling. Camp Daggett maintains over, 1,400 feet of lake frontage on Walloon Lake and 118 acres of forests, wetlands and meadows. Just minutes from local Northern Michigan towns such as Petoskey, Boyne City Charlevoix, Harbor Springs and East Jordan, the site is ideally suited for recreational and educational activities. 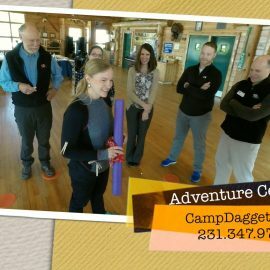 Camp Daggett’s lodge and facilites can be rented by individuals, organizations, clubs, corporations, etc. Meals can be catered or guests can make themselves at home in our fully equipped commercial kitchen. Camp Daggett maintains a policy of a smoke-free and alcohol-free environment. For additional information on the facilities please click HERE. For more information, visit www.campdaggett.org or call 231-347-9742 extension 117. You can do a world of good for kids at Camp Daggett by making a donation! CDAC programs help build self confidence and self esteem, promote teamwork and develop leadership qualities. The Camp Daggett Lodge and facilities can be rented by individuals, organizations, clubs and corporations. Copyright © 2016 Camp Daggett. All Rights Reserved. Site Developed by Abuzz Creative. 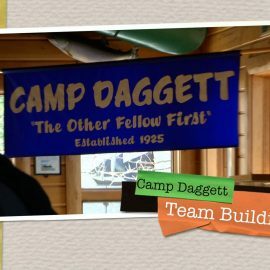 Need more info about Camp Daggett? Send us a quick note!